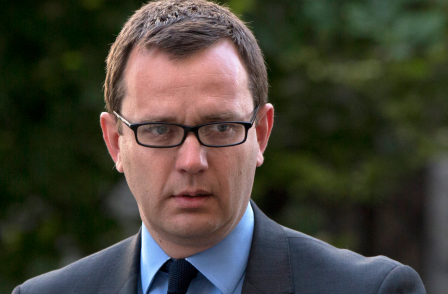 Former News of the World editor Andy Coulson was jailed today alongside two former colleagues for his involvement in phone-hacking. Coulson received an 18-month prison term, former chief reporter Neville Thurlbeck (pictured above) was sentenced to six months as was former news editor of the paper Greg Miskiw. "Parliament has decided that it is a criminal offence to access the voicemails of other people without their consent or an order of the court. Parliament has decided that the offence applies to members of the press in the same way as it does to all other citizens. This law provides the same protection to all citizens including those who, for one reason or another, are in the public eye. 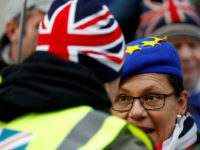 Parliament set the maximum sentence for the offence of intercepting communications at 2 years imprisonment and Parliament has decided that the same maximum sentence applies to an offence of conspiracy which can cover, as it does in this case, a very large number of individual offences. "My function is to pass sentences which reflect the criminality of the defendants as defined by that law and are within the range of sentences prescribed by Parliament. I take into account the effect on those whose phones were hacked and those whose messages were intercepted; what the defendants got out of their crimes and all proper matters of mitigation. I also have to do justice between defendants. To assist me in that, I consider previous relevant decisions of the court so that, as far as possible, there is consistency in sentencing. I then pass what it is the least possible sentence which properly reflects those factors. "I have set all this out because I have no doubt that there will comments about the sentences that I pass. There will be those who will be outraged that I haven't passed sentences well in excess of the permitted maximum and there will be those that think that it shouldn't be a crime for the press to intrude into the lives of the famous and that the legislation and this prosecution is in some way an attack on the freedom of the press to carry out their vital role as public watchdogs. People are perfectly entitled to comment. All I can ask is that the comment is informed and recognises the parameters which govern my role as the sentencer. "It is not my job to pass judgment on, or make observations about, the relationship between the press, the police and the politicians. The Leveson Inquiry has done that. It is not my job to comment on press regulation; nor is it my job to comment on whether this trial has been worth the expense that has been incurred except perhaps I can observe that it is not necessarily correct to measure the value of a trial only in terms of the number of people convicted or the severity of the sentences imposed. Nor is it for me to comment on the quality of the News of the World as a newspaper, I am not qualified to do that. "What is an important matter for me to have in mind in considering sentence is the amount of phone hacking that went on for the benefit of the News of the World and over what period. It had started by April 2002 when Milly Dowler's phone was hacked and it continued until August 2006 with the arrest of Mulcaire and Goodman. The amount of phone hacking increased during the period of time covered by the indictment to a level where Glenn Mulcaire was saying that he couldn't cope with being given anymore targets to hack. Over the period there were many thousands of phone hacks and many hundreds of voicemails were accessed illegally. "Targets of phone hacking were politicians, celebrities, and royalty. In addition there were people who were targeted simply because they were friends of, worked with, or were related to famous people. The voicemail of Helen Asprey, who was the personal assistant to Prince William and Prince Harry, was hacked hundreds of times; the phone of Hannah Pawlby, who worked in Charles Clarke's office when he was Home Secretary, was hacked to try and get evidence to support a false rumour that she was having an affair with Charles Clarke. Laura Rooney's phone was hacked because she shared a name with a famous footballer. These are just a small number of examples. So it is a mistake to believe that the only people whose phones were hacked or whose messages were intercepted were people in the public eye who courted publicity. "Phone hacking is a time consuming occupation and many hours were no doubt spent by Mulcaire and by reporters listening to messages which did not provide any leads for stories. They did however pick up intensely personal messages, some but not all of which were about relationships. Other personal material included messages left by doctors' surgeries and clinics which the recipients were entitled to expect would remain private. 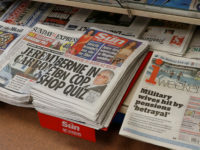 As a result of intercepting thousands of messages, the News of the World discovered information about famous and powerful people which ended up as front page exclusives and caused serious upset and distress to the subjects and to those close to them. An additional consequence was that, as nobody knew how the News of the World had got the stories, an undercurrent of distrust developed between friends and family who suspected each other of selling the information. "It is true that some celebrities attempted to use the press to put themselves in the best possible light while putting others in the worst possible light. It is also true that some people who were discovered to be having inappropriate sexual relationships with other people made money out of telling their stories. They responded to inducements from the News of the World that, as the story was coming out anyway, they might as well sell their account and be portrayed sympathetically. There were people close to celebrities, and even members of their families, who were prepared to supply information to the News of the World, sometimes for money. "None of this justified phone hacking. The law's protection is given to the rich, famous and powerful as it is to all. Some commentators believe that invading the privacy of the famous by accessing their voicemail messages should be permissible. They are entitled to their view but it is not the law, and while the law remains as it is, the courts have a duty to provide the same protection to all citizens. 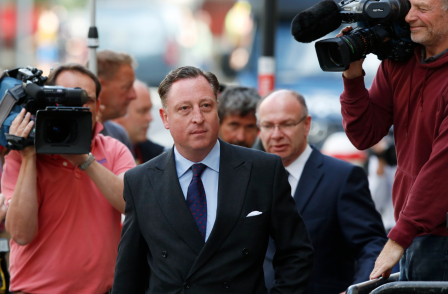 "In fairness to these defendants and all those involved in the trial, no-one has suggested that the phone hacking which occurred in this case was justified. They all knew that it was contrary to the PCC code which governs the conduct of journalists and they all knew it was morally wrong. These Defendants have said that they did not realise that it was a criminal offence. Not only is ignorance of the law no defence but it seldom provides any mitigation. It is the duty of senior journalists to know the law particularly in so far as it affects their work. While there were genuine differences between lawyers as to whether the offence of intercepting communications could be committed after the message had been listened to by the intended recipient, there was no debate as to whether it was committed by listening to someone else's voicemail before they had received it. In the circumstances of this case, I do not accept that ignorance of the law provides any mitigation. "The evidence is clear that there was a very great deal of phone hacking while Andy Coulson was editor. In April 2002, while he was still deputy editor, Milly Dowler's phone was hacked. I intend to say a little about those events. It was Neville Thurlbeck who instructed Mulcaire to carry out that investigation on 10th April 2002. Andy Coulson was editing the paper in the absence of Rebekah Brooks. Mulcaire picked up a message left on Milly Dowler's phone by an employment agency in Telford inviting her to an interview. We now know that the message was left by mistake on Milly's phone and was intended for someone who had a similar mobile phone number and name. The News of the World didn't know that, and a team of reporters were despatched to find her. They failed. As we now know, Milly was already dead. The News of the World delayed telling the police the contents of the voicemail until they realised that they were not going to find Milly. That was unforgiveable and could only, in my judgment, have happened with the knowledge of the person editing the paper that week, Andy Coulson. In reaching that conclusion, I make it clear that I have not relied on the mitigation put forward on behalf of Neville Thurlbeck. It is an inevitable conclusion from the evidence I heard of the part that the editor played in managing major news stories, particularly at the end of the week in the run up to publication. Neville Thurlbeck, who despatched the team to Telford to look for Milly, must also have been involved in that decision, although his case now is that that was decided by Coulson and Kuttner. Neville Thurlbeck was not some minor cog in the wheel at the News of the World. He was an important and distinguished journalist. I also reject the mitigation put forward by Mulcaire that he hacked the phone of Milly Dowler in the belief that he was doing it in some way to assist the police. Mr. Mulcaire knew perfectly well that he was hacking Milly's phone to assist the News of the World to obtain a story by finding her. He played no part however in the delay in informing the police of what had been discovered on the voicemail. I do not propose to hear evidence on this issue as, having read what Mulcaire says in interview as to his belief that he was assisting the police, I am quite satisfied that it is incapable of belief. In any event, even if it were accurate, it would make no difference to the sentence. "The News of the World were using their resources to try to find Milly Dowler. The fact that they delayed telling the police of the contents of the voicemail demonstrates that their true motivation was not to act in the best interests of the child but to get credit for finding her and thereby sell the maximum number of newspapers. "The true reason for the phone hacking was to sell newspapers. In an increasingly competitive market, the editor wanted to make sure that it was his paper that got the stories which would create the biggest headlines and sell the most newspapers and he, and others at the newspaper, were prepared to use illegal means to do that. No doubt Mr. Coulson was under considerable pressure to maintain, if not increase, market share. He had been appointed as editor at a very young age. He was ambitious and it was important for him to succeed. He, amongst others, passed that pressure down to their subordinates. There was great competition between the various desks. 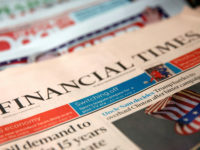 "The evidence in the case is that there was considerable pressure on desk heads to get good headline grabbing stories every week and there was little concern for how they got them. Apart from phone hackings, personal phone data was obtained, presumably by deceiving phone companies; rubbish bins were gone through and surveillance was carried out by skilled investigators. No charges arise out of this other behaviour but it demonstrates that rights to individual privacy counted for little in the period of 2003 to August 2006 at the News of the World. After January 2005 phone hacking was being carried out by the news desk with the assistance of Mulcaire and for the features desk by Dan Evans as well as by Clive Goodman, who was phone hacking members of the royal family and the royal household. "It would be wrong and unbalanced to attribute all of the success of the News of the World to phone hacking. There were, of course, important parts of the contribution made by the News of the World to public life that were entirely unrelated to phone hacking. Nevertheless, the editor and others clearly thought it necessary to use phone hacking to find important stories to maintain their competitive edge. "When the police arrested Mulcaire and Goodman, phone hacking at the News of the World stopped. The News of the World told the PCC, the public and Parliament that Clive Goodman was the only journalist at the paper who had been involved in phone hacking. It was not Mr Coulson who put this forward to the PCC or Parliament. He had resigned by then, but he took an active part before he left in seeking to ensure that Mr. Goodman did not reveal publicly what he knew of the activity of others. He did not want it known that he was one of those involved in phone hacking at the News of the World. I do not suggest that he had any influence on the advice that the lawyers gave Mr. Goodman but he did try and influence Mr. Goodman in the decisions that he made about what he was going to reveal. "Mr Coulson was not the only person at the News of the World who knew that this activity extended beyond Goodman. Anyone who read the transcript of the proceedings in front of Gross J would have been put on enquiry that others at the News of the World were involved. "There is no evidence that Mr Coulson played any part in the cover up that occurred after his resignation. "All the Defendants that I have to sentence save for Mr Mulcaire are distinguished journalists who had no need to behave as they did to be successful. They all achieved a great deal without resorting to the unlawful invasion of other peoples' privacy. Those achievements will now count for nothing. I accept that their reputations and their careers are irreparably damaged. "There is no evidence that phone hacking at the News of the World continued after the arrest of Clive Goodman save for an isolated occasion when Dan Evans hacked the phone of Kelly Hoppen. That does not mean that there is no need for any element of deterrence in the sentence. If the criminal law is to be used as a means of curtailing excesses of the press, reporters need to know that punishment will follow if breaches of the criminal law are proved. These types of offences are extremely difficult to prove and require the investment of huge resources by the prosecuting authorities. "Mr Coulson, on the jury's verdict, has to take the major share of the blame for the phone hacking at the News of the World. There is insufficient evidence to conclude that he started the phone hacking but there is ample evidence that it increased enormously while he was the editor. On the jury's verdict he knew about it and encouraged it when he should have stopped it. It was his reputation as an editor and journalist which was increased through the stories that were obtained by phone hacking and, even though he resigned, he did so with his reputation intact. News International decided it was appropriate to make a substantial severance payment to him. "I take no account of his good character and reputation as a journalist in reducing his sentence because it was that reputation which put him in day to day control of the newspaper and in a position to make use of phone hacking. "His good character has another aspect to it that I do reflect to a limited extent in the sentence. As I heard during the trial, and as I have read since, he has given help and shown kindness to others when they have faced personal tragedy or difficulties. "The other mitigating feature in his case is the delay in this matter coming to trial. There is no evidence that Mr. Coulson has contributed to the delay in the proper investigation of these offences. I have to remember that I am sentencing him for offences that occurred many years ago. "Mr Miskiw, Mr Thurlbeck and Mr Weatherup have all pleaded guilty. They did not do so at the first reasonable opportunity as defined by the Court of Appeal in the case of Caley but in my judgment this is one of those rare cases mentioned in that decision where the complexity, length and therefore expense of the trial is such that a greater than normal reduction in sentence to reflect the plea is appropriate. Accordingly, in their cases I will give the maximum one third discount to reflect their pleas of guilty. "Going beyond that reduction is a great deal more difficult. As with Mr Coulson the good character of Miskiw, Thurlbeck and Weatherup counts for very little. They would not have held the senior positions at the newspaper that they did if they were not well respected journalists. It was because of the respect in which they were held that they were able to get away with this criminal conduct for so long. "In mitigation Mr. Thurlbeck and Mr. Weatherup have spoken of the involvement of people at higher levels in the newspaper who they say bore more responsibility for what happened than they did. This is the first time that they have said this publicly. They have both expressed concern for the state of, and the need for, reform of the activities of journalists. Indeed Mr. Thurlbeck has lectured on the subject. All three have expressed remorse for what they have done. I am afraid that that has the appearance of regret for the consequences, both to them and others, of getting caught, rather than true remorse. Had there been some positive demonstration of remorse such as co-operation with the authorities in revealing the true extent of criminal activity among journalists, I might have been able to make some further reduction to reflect remorse. "It is important that those who will have to police the press in the future know what has gone on in the past and what changes they need to make to ensure it doesn't happen again. There is a certain irony in seeing men who pride themselves on being distinguished investigative journalists, who have shed light in dark corners and forced others to reveal the truth, being unprepared to do the same for their own profession. I accept that that would require great courage but the best investigative journalists have never been short of courage. "Mr Mulcaire was sentenced in 2007 by Gross J. to 6 months imprisonment. He was sentenced for only a fraction of the phone hacking that he had carried out, although of course the Judge didn't know that. Over the years he made a great deal of money out of phone hacking for the News of the World. Only a very small percentage of that was recovered by the order for confiscation. He has now pleaded guilty to three further conspiracies, each relating to a single victim, and to one substantive count of hacking Milly Dowler's phone. All of those matters could have been proved in 2007 but, for reasons which have been considered by the Leveson Inquiry, they were not. There were other opportunities when they could have been investigated between then and 2011 but again they were not. It makes sentencing Mr Mulcaire today extremely difficult. "Mr Coulson: the appropriate starting point in your cases is two years. That is because of the quantity of phone hacking you were involved in and because you were the editor who controlled the investigative methods used by your reporters. I have reduced that to 18 months to reflect the two matters of mitigation that I have identified. "Mr Miskiw and Mr Thurlbeck: the appropriate starting point in your cases is one of 12 months imprisonment. You were both in senior positions at the newspaper and you were both involved in phone hacking for a considerable period of time. I reduce that by a third to reflect your pleas of guilty which have saved the country a great deal of money. I reduce that by a further two months to reflect the delay which is no fault of yours and the matters of private mitigation outside your records as journalists. The sentence therefore in each case is one of 6 months imprisonment. "Although it is a short term of imprisonment, I am unable to suspend it because of the seriousness and persistence of the offences and the need to deter others. You spent 105 days on a qualifying curfew. Half the time that you spent on a qualifying curfew will count towards the sentence which is 53 days. If the period is incorrect then it will be amended administratively by the court. "Mr Weatherup. I accept that you were less involved. You returned to the News of the World when phone hacking was well established as a way of getting stories. You were involved for a shorter period of time. I accept that you may have been unhappy with the situation in which you found yourself and that may explain your demotion. The appropriate starting point in your case is one of 8 months imprisonment. I reduce that by a third to reflect your plea and then a further amount to reflect the delay for which you were not responsible. You have also served some of that time on a qualifying curfew. As a consequence of those matters, the length of time that you would actually serve would be very short. In those circumstances I consider that it is appropriate, exceptionally, to suspend the sentence in your case. The sentence in your case will be 4 months imprisonment suspended for 12 months and an order to do unpaid work for 200 hours. If you commit a further offence during that period or do not do the work then you can be recalled to court and the sentence of imprisonment can be activated. "Mr Mulcaire: you are the lucky one. It would in my judgment be wrong to send you back to prison today when you have already served a prison sentence, although one that was too short to reflect the full extent of your phone hacking activities. If a full investigation had been carried out in 2007 then all those matters could have been dealt with at the same time. It is not your fault that they were not. A prison sentence must be passed but I shall suspend it and combine it with a requirement to do unpaid work for the community. The sentence will be 6 months imprisonment suspended for 12 months and you will do 200 hours of unpaid work. There will be identical concurrent sentences on the four charges to which you have pleaded guilty."